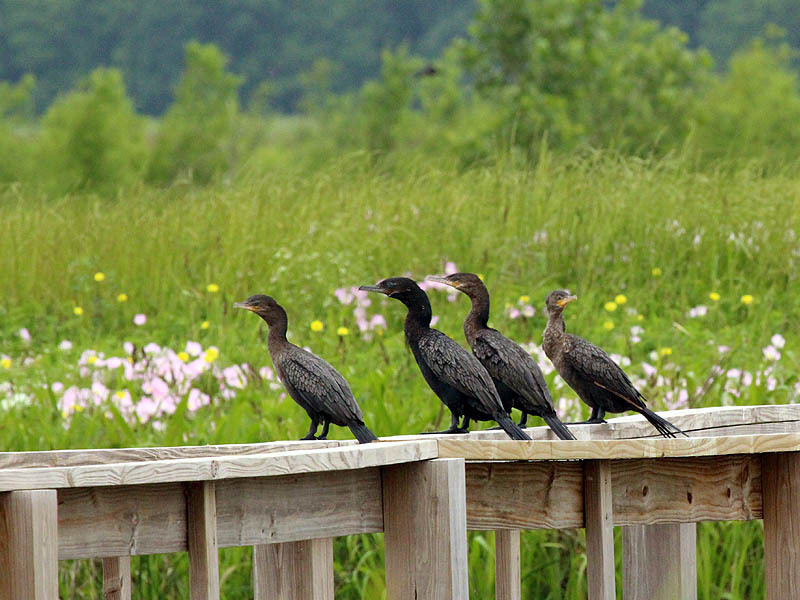 Neotropic Cormorants congregating at John Bunker Sand Wetland Center in Seagoville, Texas. 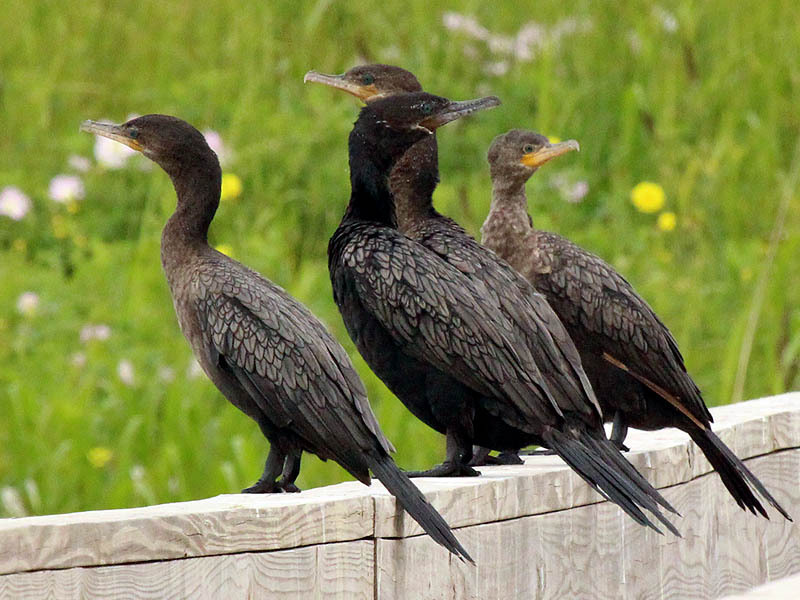 The dark bird is an adult cormorant. 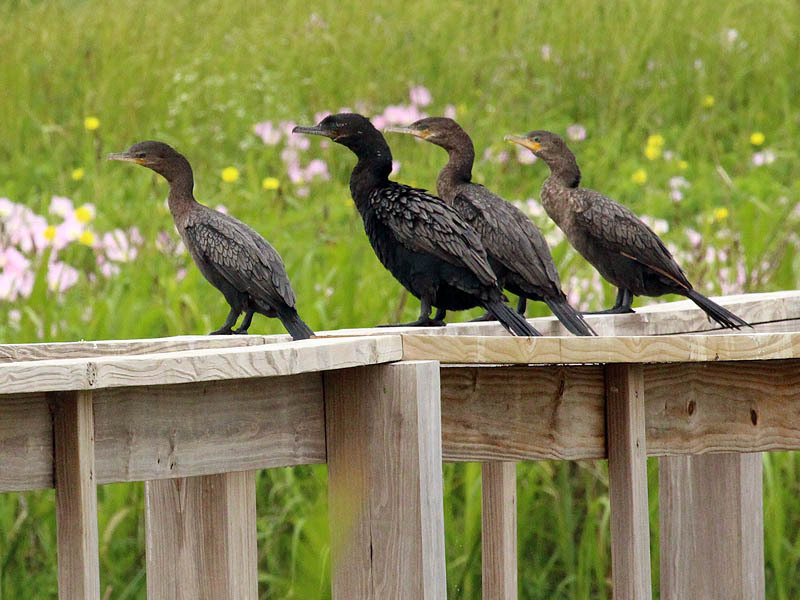 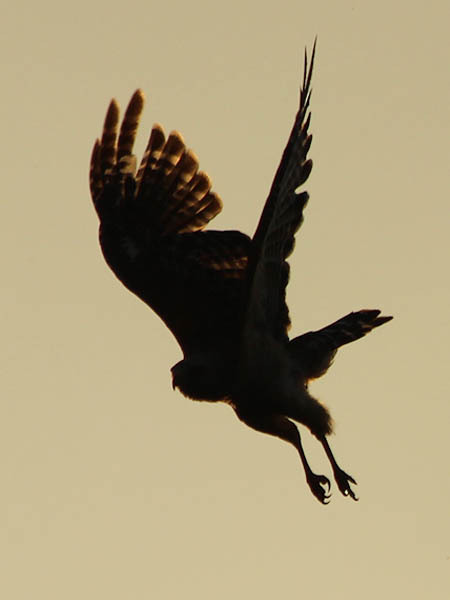 The lighter colored birds are first year juveniles.